Conversations, stories, and works of literature and scholarship inspired our most recent special issue “Camp.” As we were formulating the call for submissions we focused on the spaces of summer camp, immigrant cultural camps, language classes, and the outdoors as experiences through which to consider relationships to land and homeland. But it is impossible to avoid the ways in which the space of the camp historically for Asian Americans has been one of confinement, incarceration, and violence, a tool of war and imperialism. 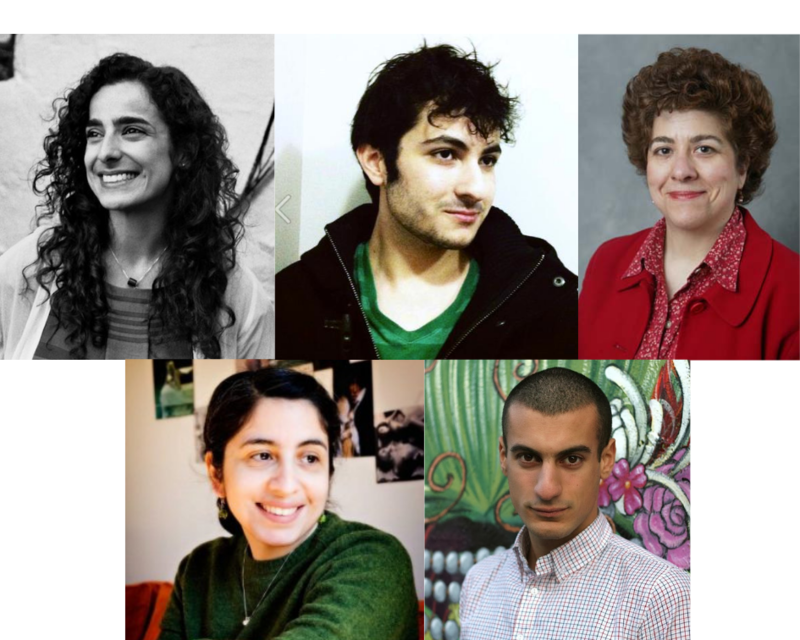 Several of the writers who submitted to our call and whom we published connected these threads beautifully. 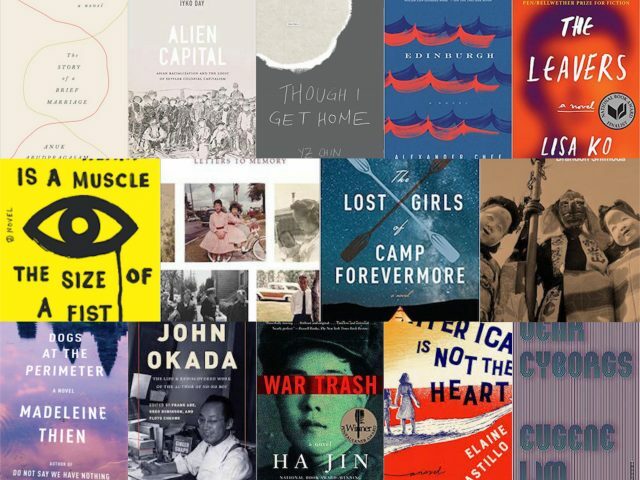 As a way to bring the multiple meanings of camp into the space of this issue, this reading list offers some of the literature that builds off of this history as well as books that we looked to as we embarked on our call for submissions. You can read the essays, fiction, and poetry from Camp here. When we first set out to put together a folio on Asian Americans and camp, Alexander Chee’s Edinburgh was one of the first books that came to mind as a book that situates camp as the grounds where alienation—physical, historical, and colonial—takes place for Asian Americans. Set in a small town in Maine, Edinburgh is the coming-of-age story of a queer Korean American boy who copes with the legacy of abuse suffered during his time in a professional boys choir. 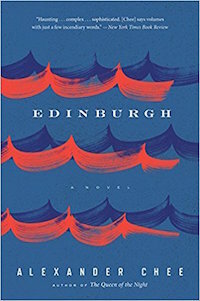 Eerie, cutting, and full of brilliance, Edinburgh is a modern classic of Asian American literature. 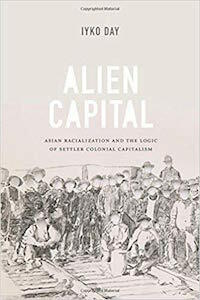 How does settler colonialism intersect with the racialization of Asians in North America? Iyko Day takes on this question and more in her academic volume Alien Capital, which lent inspiration to the way we imagined our call for submissions. Day examines a variety of art, film and literature, including, Joy Kogawa’s novel Obasan, a classic of Japanese Canadian incarceration literature. 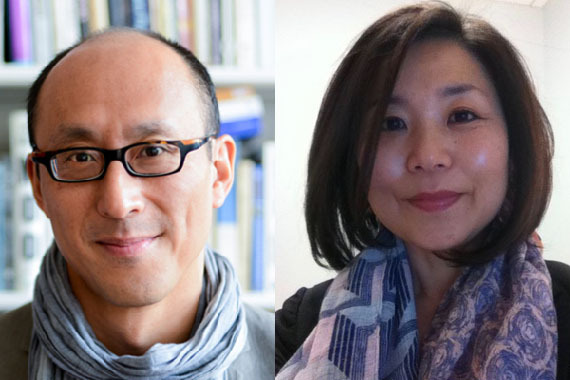 Much of what can be called Asian American “camp” literature is the literature of Japanese incarceration, a genre that begins with John Okada’s sole published novel, No-No Boy. 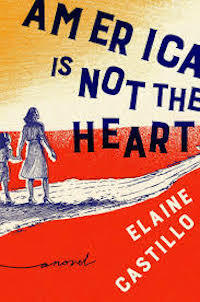 The novel is named for the young Japanese American men during World War II who checked “no” twice in government questionnaires asking whether they would serve in the army and pledge loyalty to a country that had forcibly sent their community to concentration camps in the American desert. 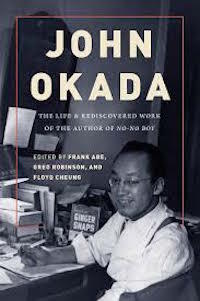 Okada passed away before his work was rediscovered, and this new biography reconsiders his legacy as the first Japanese American novelist. 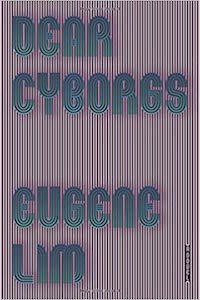 Eugene Lim’s experimental novella Dear Cyborgs doesn’t include any physical camps. 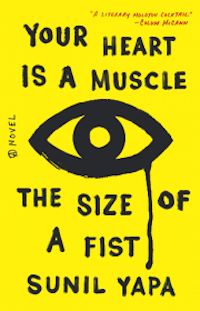 Instead, as “one of the most striking literary works to emerge from the Occupy movement,” a novel that draws on Occupy Wall Street’s ethos of camp as a site of resistance, and encampment as a powerful tactic of political dissent. What is the political significance of occupation and encampment on American land? It’s a radical act taken up by activists throughout American history—the American Indian Movement occupation of Alcatraz, student strikes in ‘68, Yuri Kochiyama and Puerto Rican nationalists in the Statue of Liberty—that troubles claims of the state to this land. Dear Cyborgs is a work that comes out of that history of American political dissent, and plays with its legacy in inventive ways. 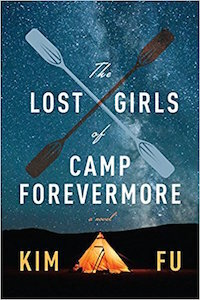 A sleepaway camp nestled in the Pacific Northwest, Camp Forevermore is where young girls spend their summer swimming, kayaking, and making campfires. But when a kayak trip to a nearby island leaves five girls stranded without adults, an idyllic day trip turns into one of the defining nights of their lives. Kim Fu’s third novel situates summer camp as a site where girlhood, trauma, and survival are reckoned with, and shape the lives of women. 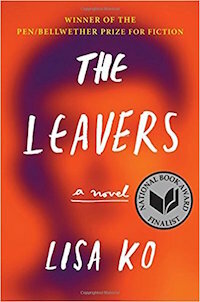 Camp is where immigrants disappear in Lisa Ko’s debut novel, The Leavers. 11-year-old Deming Guo lives in the Bronx with his mother, Polly, an undocumented Chinese immigrant who works in a nail salon. When Polly doesn’t come home one day, Deming is put up for adoption and left without an answer as to where she is. Later, as a teenager, he embarks on a search for her that takes him through the immigrant detention camp where she was taken to, and to China, where she was deported. Summer camps are a part of American iconography, but camp also exists in this country as a place where immigrants are interned, and where children are severed from their families. 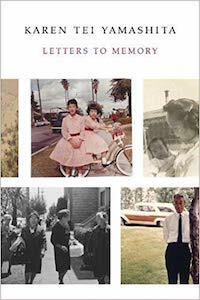 Karen Tei Yamashita’s contribution to the literature of camps and Japanese American incarceration is a memoir built from engaging with her family archive, gathered by her and other family members over years and now housed in a special collection at UC Santa Cruz. Members of Yamashita’s father’s family were incarcerated in the Topaz camp in Utah starting in 1942. Letters to Memory reads as both personal history and epistolary novel, and central to the book and the archive are a series of letters, diary entries, and photographs that point toward the connection between life in camp and a larger arc of the movement for civil rights. The backdrop to the camp in Sunil Yapa’s debut novel are the 1999 protests against the WTO in Seattle—where unions, environmentalists, consumer protections groups took to the streets to fight the effects of globalization and faced a violent backlash. 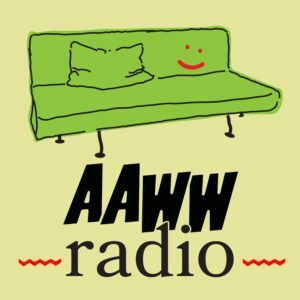 Told from a variety of perspectives, including that of 19-year-old Victor who ran away from home and Victor’s estranged father who is the Seattle chief of police, Your Heart Is a Muscle the Size of a Fist circles around the afternoon of November 30, 1999 as we experience how the protests shaped or will soon shape the lives of multiple narrators. When the police escalate their response, using tear gas, pepper spray, and rubber bullets to break up the protest, characters and stories collide. Hero, the unlikely heroine of Elaine Castillo’s great Filipino American novel, arrives in the California Bay Area in the 90s a haunted woman. Her broken, crooked hands are a painful reminder of the years she spent in a prison camp in the Philippines, where she was held and tortured for her work as a member of the New Peoples’ Army, the militant wing of the Communist Party. 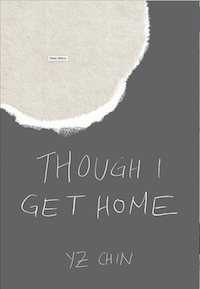 Hero’s time at camp separated her from her family, loved ones, and political movement, and her survivor’s guilt carries her into a new life in America. Set in a Sri Lankan refugee camp during the Civil War, Anuk Arudpragasm’s elegiac debut novel follows a marriage from its beginning to end during the course of a single day. 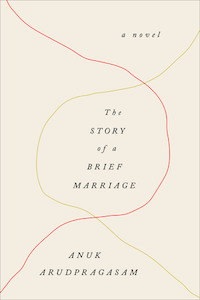 The Story of a Brief Marriage captures the isolating nature of camp—a sphere separate from the uncaring world, caught in the midst of violent political conflict, and in the strange wartime limbo between life and death. 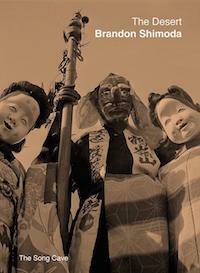 “Not sure why I keep prefacing every email with mention of the desert, though the affirmation feels necessary,” writes Brandon Shimoda in his latest collection Desert. “This is where we are, this landscape which feels as congenital to our condition as it does alien.” The photograph on the cover of Shimoda’s book shows three Japanese Americans at the Tule Lake concentration camp during a celebration of the Harvest Festival in 1942. The photograph and the poems, letters, and diary entries that comprise Desert are reminders of how the desert is many things at once: the site of occupation of indigenous lands, the site of Japanese incarceration, the land on which desert creatures crawl and desert plants take root—it’s land that reflects what Shimoda calls the “perverse psychosis that is settler colonialism in the United States”. 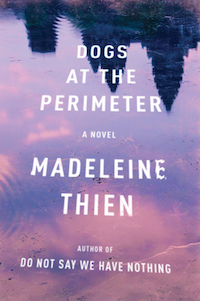 The camps of Madeleine Thien’s second novel are spaces where loss, death, and erasure take place. Janie, a research scientist living in Canada, is bereft when her coworker Hiroji goes missing in search for his brother, a doctor who disappeared many years ago while working in a Cambodian refugee camp. The shared loss unites Hiroji with Janie, who lived through Year Zero as a child, and was placed in a Khmer Rouge detention camp with her family. Kamunting Camp is a supermax detention center in Malaysia notorious as a facility the government has used for more than four decades to detain and interrogate people indefinitely without trial. It’s where Isabelle Sin, a character central to these interconnected short stories, is sent after she writes a poem that is deemed “inflammatory and pornographic.” The violence of camp here is shaped by the shadow of colonialism—as Chin told Mira T. Lee in an interview on The Margins, “The law in Malaysia that allows the government to detain people without trial is actually a legacy of British colonial days.” The inaugural winner of the Louise Meriwether First Book Prize, Though I Get Home tells not only Isabelle’s story but those of other characters in current-day Malaysia for whom home doesn’t always suggest belonging. Ha Jin’s fourth novel is written as a memoir of the fictional character Yu Yuan, an officer in the Chinese military who is swept into the Korean War as part of Mao’s volunteer army, fighting on the side of the communists. Captured by U.S. military forces, he spends more than three years in a series of prisoner of war camps within which two factions emerge: those loyal to Communist China and those loyal to the Nationalists. Yuan is caught in between. Camp here is a tool of war and imperialism, but for Yuan it is also a memory that forever pulls him back to the war. 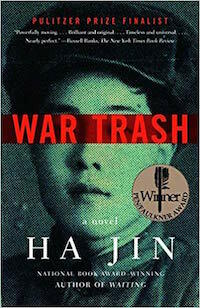 Praised as a “portrait of life in the camps and a study in the corruption and hypocrisy of modern Chinese political culture,” War Trash was published in the wake of U.S. military abuses against prisoners held in Abu Ghraib and Guantanamo Bay.